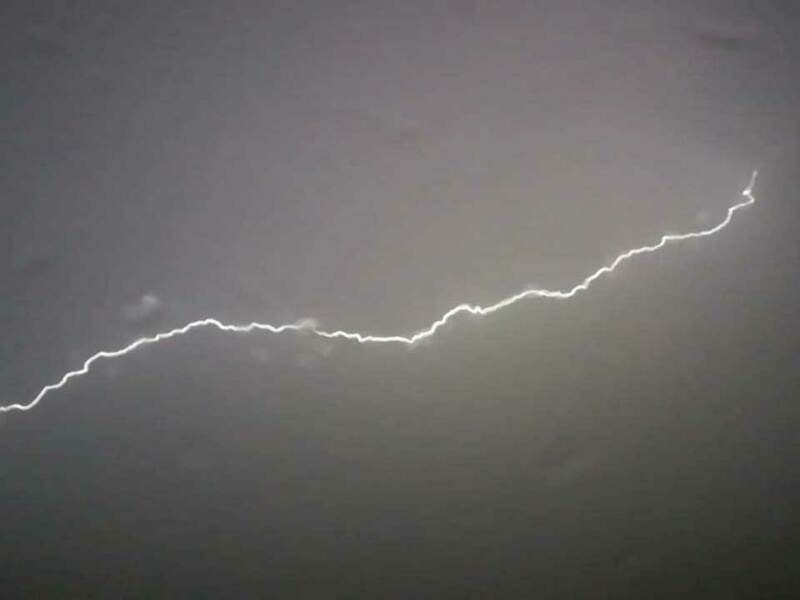 Dubai / Sharjah: Heavy rains, strong winds, thunderstorms and lightning lashed various parts of the UAE on Sunday, even as forecasters predicted unstable weather to continue until Monday night. Residents of a 30-year-old, six storey building in Ras Al Khaimah were evacuated safely after part of the structure collapsed on Sunday. Authorities in the emirate also blocks access to Jebel Jais, the UAE's tallest peak, due to heavy rains that flooded valleys. Brigadier General Abdullah Khamis Al Hadidi, Acting police commander in chief of Ras Al Khaimah Police, said the operations room received a call at 12 noon with reports that some concrete slabs in the building had collapsed due to heavy rain. Emergency teams rushed to the site and ensured residents were safely evacuated. The authorities were also making arrangements to provide alternate accommodation for those evacuated. Sharjah Civil Defence said it received some calls with reports of “electric shock”, but prompt response ensured there was no mishap. On Sunday, the Abu Dhabi-based National Centre of Meteorology (NCM) reported moderate to heavy showers from Ras Al Khaimah and Umm Al Quwain to Dubai and Abu Dhabi with temperatures dipping to a low of 8°C in the mountain region, while the coastal and internal areas saw cooler temperatures of 16°C and 15°C, respectively. By late evening, social media channels were abuzz with rain reports. “I am at a supermarket in Umm Al Qwain and its flooded,” said one resident. “Signboards fly, trees uprooted as very heavy winds, rains lash Sharjah,” said another. Many others complained of being stuck in traffic. Sharjah police said they had deployed special patrols to facilitate the flow of traffic. 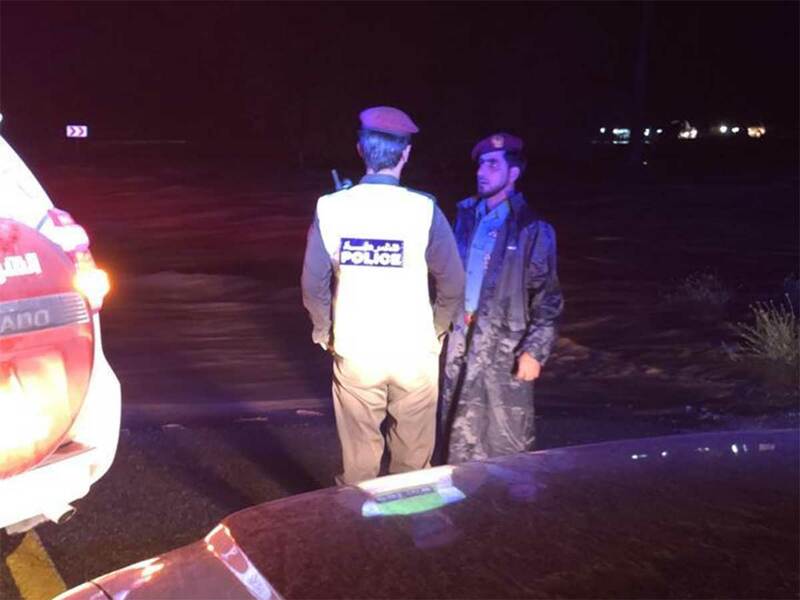 The heavy downpour in the wadis of Ras Al Khaimah and the mountain region prompted the police to issue alerts, asking residents to avoid these areas. 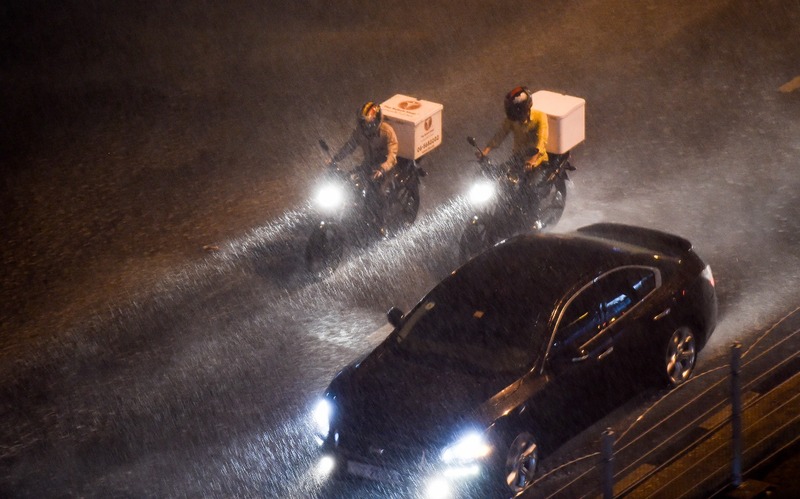 In Abu Dhabi, the Abu Dhabi Police General Command called on drivers to reduce speeds to 80 km / h, and keep sufficient safe distance in accordance with the decision of the Traffic Safety Committee in Abu Dhabi during volatile weather conditions. Residents quickly took to social networking sites to show the most affected sites in the country, which included the overflowing wadis in Ras Al Khaimah and the mountain region as rain heavily poured across the emirates at around noon. On Sunday morning, the Abu Dhabi-based National Centre of Meteorology (NCM) reported moderate to heavy showers from Ras Al Khaimah and Umm Al Quwain to Dubai and Abu Dhabi, with temperatures dipping to a minimum low of 8°C in the mountain region, while the coastal and internal areas saw cooler temperatures of 16°C and 15°C respectively. By late evening, social media channels were abuzz with rain reports. “I am at a supermarket in Umm Al Quwain and its flooded,” said one resident. Many others complained of being stuck in traffic. Sharjah police said they had deployed special patrols to facilitate the flow of traffic. 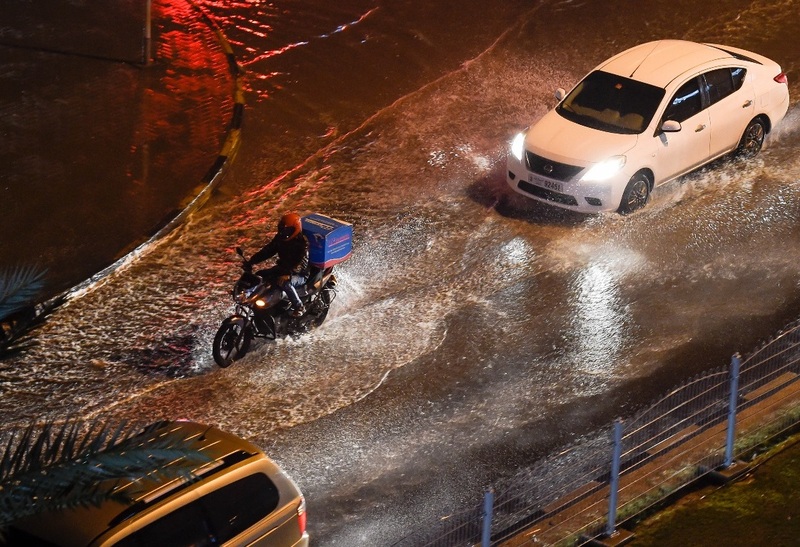 The heavy downpour in the wadis of Ras Al Khaimah and the mountain region prompted the police to issue alerts, asking residents to avoid these areas. In Abu Dhabi, The Abu Dhabi Police General Command called on drivers to reduce speeds to 80 km / h, and keep sufficient safe distance in accordance with the decision of the Traffic Safety Committee in Abu Dhabi during volatile weather conditions. "Strong southeasterly and northwesterly winds will blow at a speed of 35 – 45 km/h, and may reach up to 60 km/h at times, which will pick up dust and sand and causing poor horizontal visibility to less than 1,200 metres,” NCM stated in its daily weather forecast. The agency called on drivers to take all precautions and follow the traffic regulations regarding the probability of towering clouds formation that may be associated with rainfall, thunders and strong winds. On Monday, the NCM expects the unstable weather to continue with an accumulation of clouds over the northern and eastern emirates, bringing in a chance of some rainfall. Residents will also a significant drop in temperatures for the rest of the day, before dust and sand start blowing over exposed areas of the country by Tuesday.